The springtime is finally coming and we should be prepared for intensive changes that come along with this wonderful season. In almost every culture, it symbolizes a period of re-birth and new beginnings, the period of awakening after a cold and sleepy winter. This is the inevitable part of the life circle and although we sometimes forget it, we are still particles of this natural flow. Thus, in order to take the most from the nature and its enormous energy, instead of moving upstream constantly, we need to recognize all its gifts that grow around us and feel them deeply with every sense. 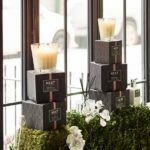 Speaking about luxury scented candles, spring is definitely the most inspiring season and it is not a mystery why. Devine fragrances of nature are probably the first heralds of spring that we can notice even before the last covering of snow loses its battle with the sun. 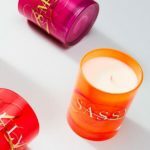 The high-end candlemakers use the centuries-long knowledge to capture the essence of these fragrances and give them back to us through their exquisite products, so that we can feel the nature even when we are trapped inside our offices or homes. 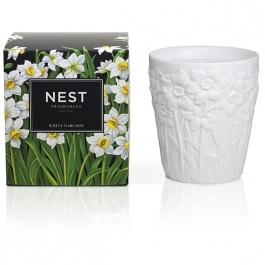 One of the seasonal highlight is Nest’s White Narcisse Classic candle that except the alluring natural extract of narcissus offers sophisticated and seductive notes of French mimosa, crisp muguet and creamy sandalwood. 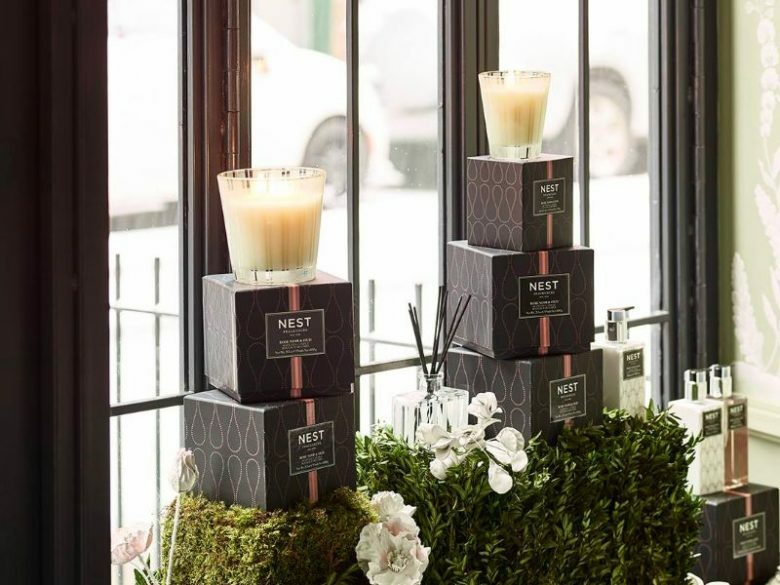 Besides, Nest Fragrances paid a special attention to its design, creating an extraordinary sculpted floral porcelain container that can serve as a nice decoration after the candle burn out. Another product that immediately pulls the attention with its beautiful and vivid design is Archipelago Acacia Blossom Boxed Candle. 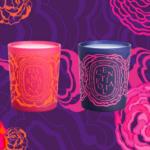 Poured into a bluish tumbler and presented in a decorative gift box, this stunning candle brings the main scent of acacia, complemented with aromas of pressed orchid, freesia and linden blossom. Le Palais des Thés created an interesting blend, inspired by the fragility of the first seasonal flowers. 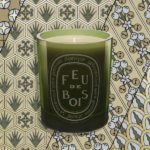 Gentle and feminine, a Fleur de Geisha Candle combines a fresh aroma of black tea with delicate floral scents and the sweetness of rice powder. 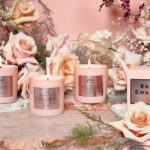 If you want to experience the entire set of natural fragrances, then Red Flower’s Little Flower Six Candles Set, including Italian Blood Orange, French Lavender, Icelandic Moonflower, Indian Jasmine, Moroccan Rose and Ocean mini candles, can be the perfect choice. 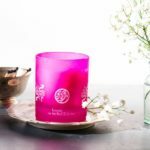 If you want to experience the authentic flavor of bloomed meadows in spring, there is Dayna Decker’s Bardou Candle with its refined blend of pink peppercorn, fresh greens, wild rose, pink peony, cardamom and redwood essences. 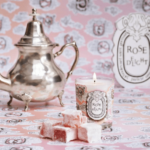 These and a number of other luxurious candles are waiting to be discovered. Thus, let the spring inspire you in every moment of your day.